3 Quotes, 3 Days… Day Three! For my third and final 3 Quotes, 3 Days challenge, it will take even more thinking and probing the depths of my memory to bring you a quote that I adore from my readings. I believe I will choose a quote from the author that has most inspired me as a writer. Since I’m choosing quotes from books and since I’m a writer, it seems fitting. But narrowing down the genius of L.M. Montgomery is a monumental undertaking. I believe this encompasses my love for all things imagined, and one of the most inspirational books for me as a writer. I adore L.M. Montgomery, and if she were still alive, I’d do almost anything to meet and talk to her. 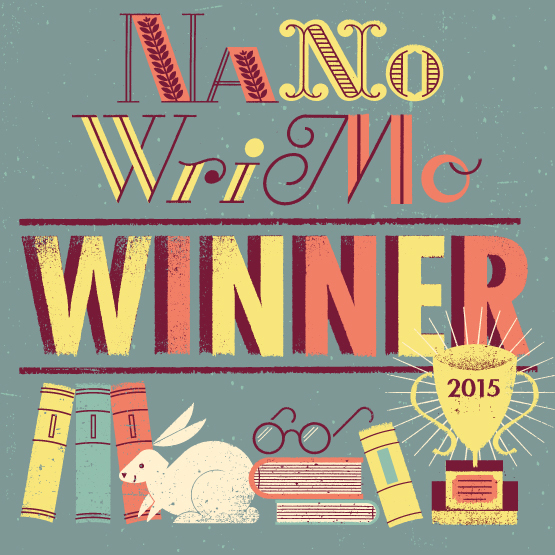 For my last day, I’m going to tag Herminia Chow over at aspiringwriter22. She posts beautiful poems, thoughtful questions, fun trivia, and generally makes me smile on a daily basis. There you are! My three quotes in three days. If anyone else wants to participate, feel free!!! Tag yourself and be off! I love to see other peoples’ favorite quotes. Anne of Green Gables Reboot! For all you fans of Anne Shirley, I’m excited to announce that there is a reboot TV movie in the process! Most of us who are current fans of Anne of Green Gables adaptations are familiar with the 1985 and 1987 versions of the TV movies. (I don’t like the 2000 continuing story. WAY off plot line). Megan Follows and Jonathan Crombie (RIP) were the lead characters in the 80s version. And this time around, Martin Sheen is playing Matthew Cuthbert! I’m usually pretty skeptical of any new adaptation of Anne because the man who owned the rights to the movies, Kevin Sullivan, did so much to the story that the original plots from the books were barely recognizable. And, L.M. Montgomery is one of THE most influential authors in my life. Far surpassing many of the popular authors of today. So I take these adaptations with a grain of salt and try not to get too upset. But this time around, L.M. Montgomery’s granddaughter is one of the lead executive producers and is agreeing with this adaptation. So THAT really got me excited! Of course, it probably won’t air in America right away because it’s being shot in Canada (as is proper). But I’m still so excited! Have any of my Canadian brethren heard about this? What do you think? Is anyone else excited for this new adaptation? Go check out one of the blurbs about it and see what you think. I was surprised I didn’t see this more on WP, but maybe I just wasn’t online when this happened. Jonathan Crombie, probably best known for playing Gilbert Blythe in the “Anne of Green Gables” movies, died on April 15th, at age 48, from a brain hemorrhage. Did anybody else know about this? I only found out a couple days ago, even though this happened last week. Death happens. I understand that. I write death frequently. I see it all the time in my job. While I’m always affected by death, I do have to have a bit of mental anesthesia to get through seeing and facing death so often. But this hit me hard. If you remember from this post a year-ish ago, you’ll recall that Gilbert Blythe is my favorite literary hero ever. EVER! The TV movies came out when I was only a year or two old, but I watched them incessantly in the 90s, and I still watch them. L.M. Montgomery, who wrote the “Anne of Green Gables” books, has been the most influential author of my life. I fell in love with her characters, as well as with the actors who portrayed them on-screen. Jonathan Crombie will always be Gilbert Blythe to me. I feel terrible for his family and friends. He was so much more than his Gilbert character, and it makes me sad that so few people know of his talent. 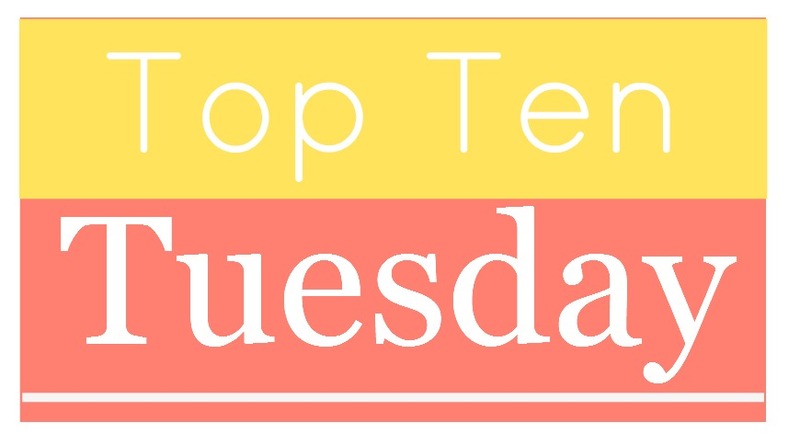 I’m back on my Top Ten Tuesday roll with this week’s edition: Top ten book characters that would be sitting at my lunch table. A great big THANKS to The Broke and the Bookish blog that comes up with these topics. Before I get to the list, I have to preface it with a little more info about myself and who I was in school. No way around it, and I’m not ashamed, so many of my favorite characters in books would never have sat at my lunch table – they’re just too cool or outgoing for my tastes (another reason I like secondary characters so much). So, I’m going to go with characters who are a bit awkward, nerdy, teased, and unpopular, because that’s mostly how I was in school. 1. Hermione Granger – Yep. She’s basically me except much more gutsy, but she and I share a love of learning, knowledge, and looking out for other people who don’t know how to look out for themselves. I think she and I would get along very well, unless we got into a serious debate over classes. 2. 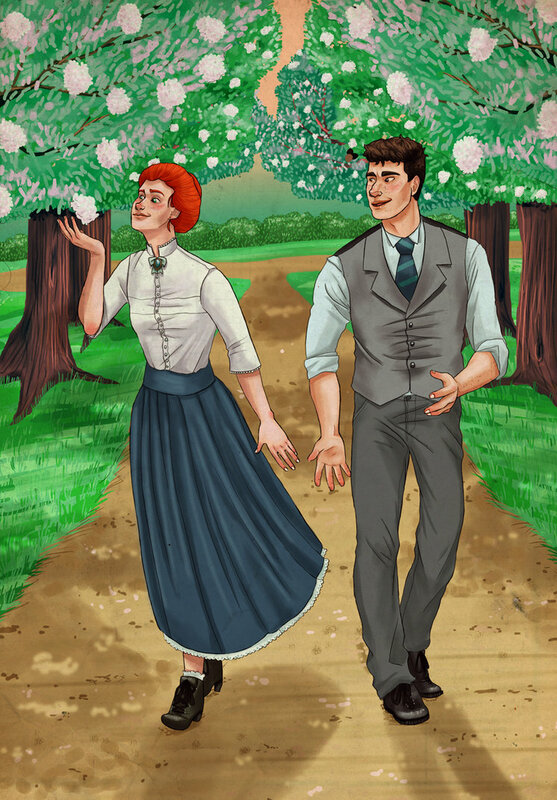 Anne Shirley – It was a toss-up between her and Hermione over who would be first and honestly, they’re both about the same in my book for top spot. Anne is also a bit nerdy, though a starry-eyed romantic and book lover. Again, I think we’d get along famously because of how odd she is (to her classmates and the town she lives in), and would be able to commiserate. 3. Matilda – from Roald Dahl’s “Matilda.” She’s quiet, puts up with a difficult family (mine is awesome! ), loves to read, and loves her teacher. I was always a teacher’s pet. Not because I sucked up, but because I did all my work and was a good student. Her love of reading alone would be enough to have her at my table. Between the two of us, we’d have stacks of books weighing the table down. 4. John Watson – from The Adventures of Sherlock Holmes. John is a doctor (I’m a physical therapist), and cares a lot about people, which is a great antithesis to Sherlock’s sociopathic limitations. John is the calm to Sherlock’s storm, which I’m told is a trait I have. Fairly steady and low-key. I get all my aggression and energy out when I exercise and in my writing. I’d love to sit down and talk with John. 5. Jo March – from Little Women. Although she’s much more outgoing than I am, she is a writer and is passionate for her craft. Our personalities may be different, but our passions are very similar. 6. Suzy – from Calvin and Hobbes. Suzy cracks me up! She’s just as smart as Calvin (sometimes more so), and is able to take him down a peg when he gets overbearing. Not only that, but Hobbes likes her! Suzy is a nerdy, lovable little girl. She definitely makes the list. 7. Anne Elliot – from Persuasion. She’s so much like me it’s scary. Introverted, intelligent, slips behind the drama to keep things peaceful, is loyal to a fault. Man, I’m really an awesome person, aren’t I? 🙂 If you’ve read Persuasion, you know Anne has plenty of faults, but she’s my favorite Austen heroine, probably because I see so much of myself in her. 8. Mortimer Lightwood – from Charles Dickens’ “Our Mutual Friend.” This is one of my all time favorite Dickens books, and his characters are awesome. Mortimer is a lawyer and often the conscience of a group of characters. He’s also the storyteller in the book, and he’s truly concerned for the best interests of everyone involved in the story. Though he’d probably be a bit more dapper than me, I’d still like to have him at my lunch table. 9. Gandalf – from Lord of the Rings. He’s so wise! (I’m not saying I am). I could see him at my lunch table with his peculiar brand of humor and all the knowledge he’s gained in the thousands of years he’s lived. I want him there just for my own desire to learn from him (if he were real). 10. The Doctor – If I have to explain who he is, I’m sorry for that. And although he’s not a book character, I’m breaking the rules for him. I’d LOVE LOVE LOVE to sit down and chat with him considering how old he is and how much he’s been through. And despite how popular his show is right now, he’s still basically a nerd. Sometimes in disguise, but I think he’d love to sit at my table of randomness and all the characters that would fit into my group. He’d have a ball and so would I! Welp, what do you think? Do you agree/disagree with my choices? Who would you pick to sit at your lunch table?